Aquatic herbicide application for Curly-leaf pondweed control is planned for the 3rd Street Boat ramp and adjacent areas between May 1 to June 15, 2019 based on lake level, water temperature, plant growth and weather conditions in the area outlined below. Water use restrictions will not be in effect for irrigation intakes, potable water intakes or swimming. Please refer to treatment maps and water use restrictions below for additional information about these treatments. Curly-leaf pondweed has been identified as a significant invasive species within Lake Coeur d'Alene, Idaho and is known to negatively affect the beneficial uses of a waterbody. 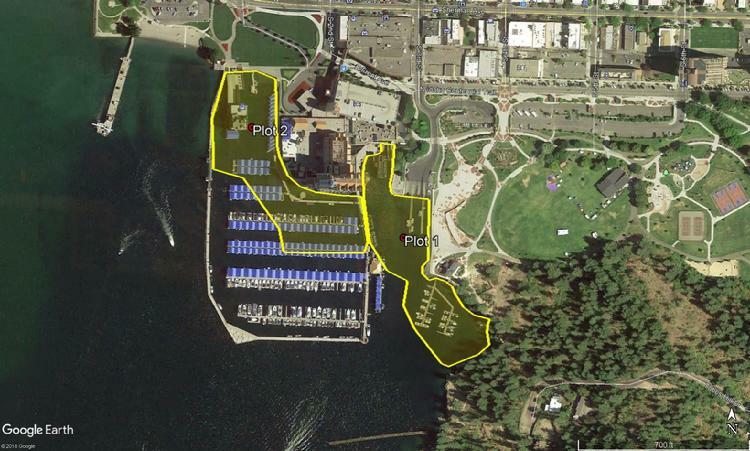 As such, an aquatic herbicide treatment is planned for portions of northern Lake Coeur d'Alene between May 1 and June 14, 2019, based on lake level, water temperature, plant growth and weather permitting. The treatment timing was selected to maximize treatment efficacy when Curly-leaf pondweed is actively growing. Up to 9 acres of the lake will be treated during one treatment event with liquid endothall (Aquathol K, EPA Registration # 70506-176). Please see the following website for information on the endothall herbicide. Animal Consumption: Do not intentionally use water from the treated area for animal consumption. This does not apply to incidental exposure of animals to treated water. For up to date information on water use restrictions please and treatment date visit the applicator’s website. Please contact Tom Moorhouse, Aquatic Pest Control Adviser with Clean Lakes, Inc., (208-929-2757) or Chris Moan, Fisheries Habitat Biologist, Avista (509.495.4084), with any questions. Areas delineated in yellow in the below map are planned for treatment with aquatic herbicides for Curly-leaf pondweed control.